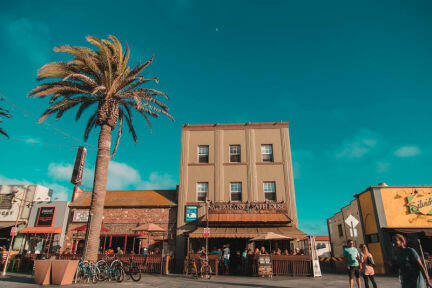 Surf City Hostel kohteessa Los Angeles, Yhdysvallat: Varaa nyt! The hostel provides shared room (dorm) and private room accommodation to travellers from all over the world. 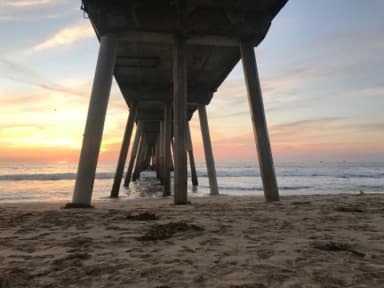 Some of the things which make us popular with guests include our location on the beach, the fact that we are the safest hostel in Los Angeles, the bars, nightclubs, restaurants within walking distance, our proximity to public transportation, supermarkets and cinemas and much more. And the fact that there is so much to see and do every day! Access to our washing machine and tumble dryers, our fully equipped kitchen, the library of travel guides for the USA and other countries around the world. As well all that you will enjoy the beach and bars, our knowledgeable and friendly international staff are always here to help. We provide free breakfast from 8am-11am and also free tea and coffee all day, free maps,free WiFi and free body boards on loan. There is free street parking within walking distance of the hostel and there is a metered parking next to us. Check-in time is from 1pm-2am next day. Please be aware that taxes are not included in your reservation total, you pay it when you check in.